Observatory is Alison Turnbull's second exhibition at Matt's Gallery and marks a new direction in her work. 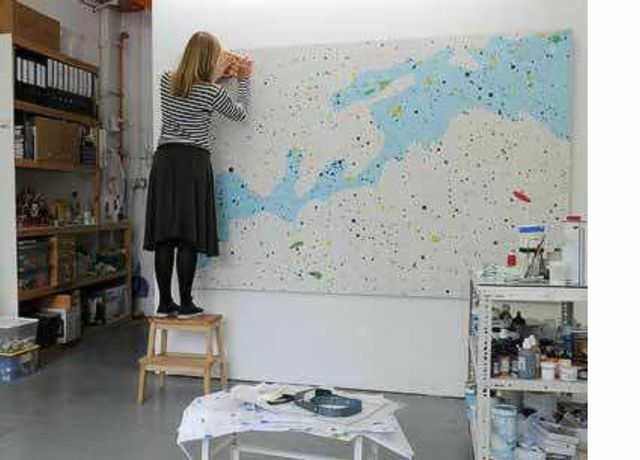 She has created a number of related paintings, originally inspired by plans of Thomas Jefferson's observatory. Collector, researcher and observer, Turnbull works with nature, but without literal illustration. Using specialist star charts as the genesis of her new work she shows the margins and transitional spaces of a human world.